This series of prints explore the resonance between the years 1968 and 2016, both Year of the Monkey. 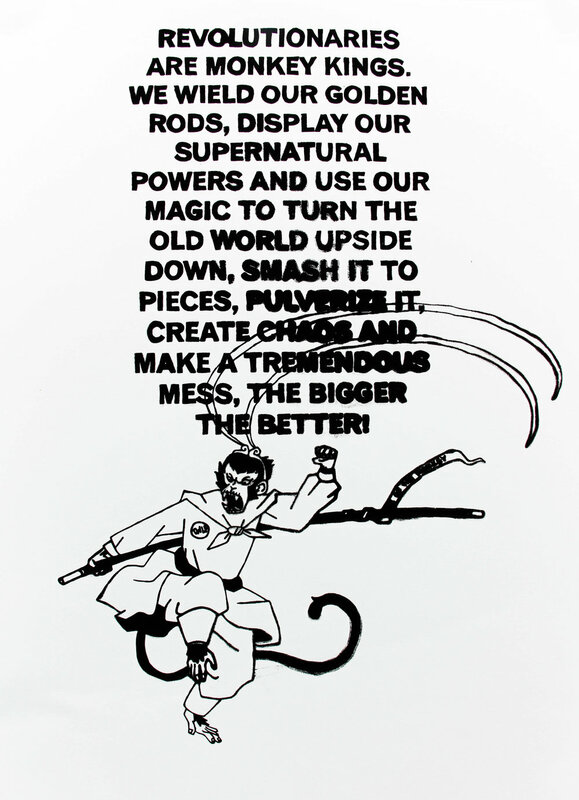 The Year of the Monkey activates the similarities between the two moments with respect to activism in the Bay Area: police violence in communities of color, movements for housing justice, and the 1968 SF State student strikers' reincarnation as the Third World Liberation Front 2016. 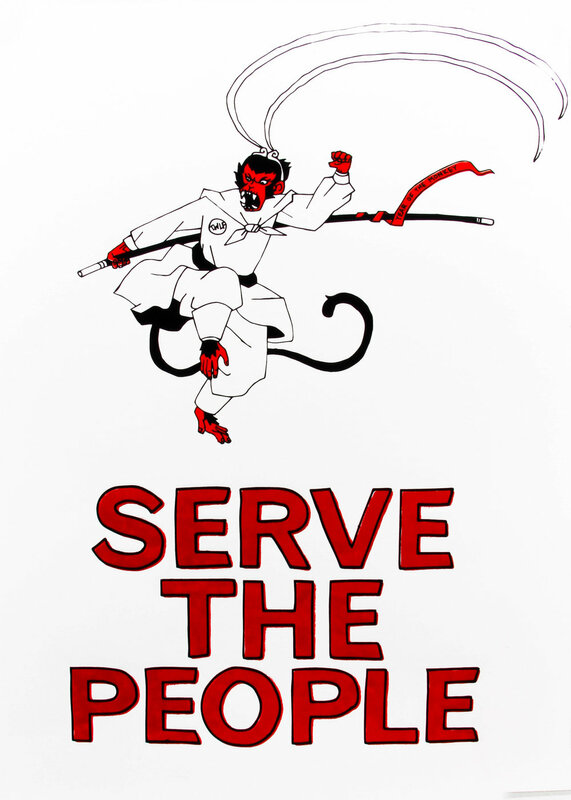 Recurrent slogans and the revolutionary icon of the Monkey King alienate these struggles from a particular time, bending linear history into a zodiacal cycle.